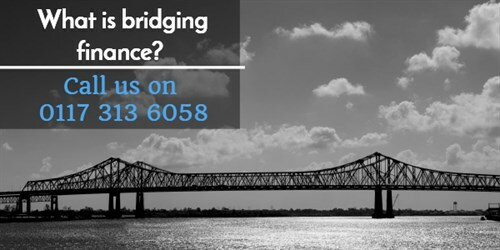 Bridging finance is being used across the UK with greater frequency. More people are starting to recognise how they can apply short-term loans in funding residential and commercial property transactions. This increasing popularity is being driven by increasing use of bridging loans for residential and commercial property transactions, auction purchases and renovation and building development projects. Increased confidence in the housing market has been a major driver of this growth with investment in building projects and buy to let schemes fuelling demand. Bridging loans provide investors with the opportunity to renovate and refurbish properties that could not have been financed through standard mortgage finance. Bridging finance has become more popular in the last few years with an increasing number of people taking advantage of the flexibility that it provides both in residential and commercial funding. In simple terms a bridging loan provides fast and flexible finance; providing borrowers with a fast cash injection, which would otherwise not be available through more traditional finance routes. (a) Closed bridge - The borrower has a set date when the loan will be repaid e.g. the borrower has already exchanged to sell a property and the completion date has been fixed. The sale of that property will repay the bridging loan. (b) Open bridge - The borrower sets out a proposed exit plan to repay their loan but there is no fixed deadline at outset. There will be a clear cut-off point that the loan has to be repaid by. A bridging loan is a short-term loan (usually 12 months or less), although some lenders may provide finance for longer than 12 months, that can be used by individuals and businesses for any purpose. Bridging finance can be used until more long term funding can be arranged, or they sell the property. What are the main uses of bridging loans? Bridging finance can be used in residential and commercial property transactions. Users of bridging finance range from home buyers, home builders, barn converters, landlords, property developers and investors. Whether buying a property, building a property or raising funds for a refurbishment project, short-term lending can be a viable option. Bridging finance is also sometimes used by businesses in need of short-term funding e.g. to raise capital, meeting a business obligation or settling tax liabilities. Bridging finance can help provide support in an emergency situation or allow a firm to take advantage of a business opportunity. You can get fast finance with a bridging loan. With a mortgage it could take two months before you can drawdown funds. With a bridging loan you could have finance in 5 to 7 days. In exceptionally time constrained situations bridging loans have been known to complete in 24 hours. We will establish with you what you are trying to achieve. Once it is clear that a bridging loan is the right type of finance required, we will research the lender market using our in-house bridging finance sourcing system for bridging finance rates. A suitable bridge lender will be selected and will be provided with a summary of your situation, your reasons for wanting a bridging loan, the security you are providing and repayment strategy. The lender will be given evidence (if applicable) of the new property purchase and proof of the price to be paid. The bridge lender will issue an offer letter outlining the terms of the proposed finance and what is needed to obtain the finance. Assuming you are happy to proceed, the lender will instruct a property valuer to provide a valuation report. All documents will be then sent to your solicitor. Your solicitor will explain the terms and conditions of the loan to you. On receipt of signed documentation, the funds will be released to the solicitor for legal completion. The bridging loan funds will be then sent to your bank account. This loan process usually takes 7 days to a month. Sometimes, this can be reduced to hours, depending on the case and the set of circumstances involved, and crucially, what evidences the client has available. Similarly it could take longer in the case of a complex development loan, which requires a number of conditions to be discharged by the Local Planning Authority. Once you receive the bridging finance you will be expected to repay the loan back by the end of the term. Interest payments can be made in monthly instalments, or can be rolled up in the final payment. Why are bridging loans used? An increasing number of individuals and businesses use bridging loans to benefit from the unique short-term financing solution and flexibility they provide. The funds allow people to take advantage of opportunities that arise. For example securing property deals where there may be competition to win the deal. They can also be used to resolve emergency situations, which they would have otherwise been unable to do. Interest rates on bridging finance are higher than rates on other types of finance, so this financing option should only be used where a short term finance solution is required (generally, 12 months or less). They are also used when there is a requirement to take advantage of a financial situation e.g. buying a property at a discount. For homeowners and other property owners - Quickly securing a property. A common reason is so people can buy a new property before selling an existing one to prevent missing out on a particular property they want to purchase. Repairing a broken property chain - The loan can prevent a homeowner from missing out on purchasing their new home if a buyer in a property chain drops out. Downsizing - These property owners do not require a standard mortgages, but can use bridging finance to buy before the sale of their existing property; this allows them to move quickly and independently. Converting a barn (or other property) - For people wanting to live in the countryside to build their grand design home or for developers looking to turn a profit. Auction finance - For people buying property at auction, bridging finance can allow them to pay the required percentage needed as a deposit. In addition, it can be used to complete the transaction in the time provided for by the auction contract. Temporary cash flow cover - Borrowers looking for a short term loan during a property transaction can use a quick bridging loan to get a cash injection. For property developers and investors - Unmortgageable properties. Bridging loans can also be used to develop run down properties, where traditional mortgages would not be approved. For example a bridging loan could be used where properties have no bathrooms, toilets or kitchens or are not watertight. For businesses raising capital - Bridging loans can be secured against land and property so that companies can raise finance in a short timeframe. For example a bridging loan could be used for buying stock as an alternative to asset purchase finance. Meet business obligations Borrowers - Looking for short-term funding to meet business obligations and payments, or overcome financial difficulties? You can use a bridging loan as a possible short-term option. Bridging loans are used by individuals or businesses when there is a temporary cash flow issue or a tight deadline, where a quick short-term loan is required to rectify the situation or provide a viable financial solution. Property types that bridging loans can be secured against? How can bridging finance be used on unmortgageable properties? The refurbishment of an unmortgageable property will usually increase its value following the completion of the work. Bridging loans provide investors with the opportunity to buy run down or underdeveloped properties and start their renovation project. Bridging finance allows construction to start prior to letting and securing long-term finance or selling for a profit. Bridging loan providers will take into consideration an investor’s current property portfolio and experience, as well as their potential purchase. This is to ensure they have the appropriate land or property to use as security. Investors can use the equity on a current property to meet the value of the bridging loan they require to purchase to renovate another property. Once renovation work has been carried out and the property has been made habitable, the owners can then apply for a normal/standard mortgage or sell for a profit. The amount that can be borrowed depends entirely on the lender and the borrower’s circumstances. The minimum loan size will typically be £25,000 and the maximum for most lenders is £10,000,000, but this can vary from lender to lender and will depending on the project and security. Over how long can the money be repaid? Lenders will typically expect a bridging loan to be paid back within 12 months. As bridging loans have higher rates of interest than standard mortgages, it is practical to have a shorter time frame for borrowers to repay the loan. A person can normally choose to pay off a loan at any time within the 12 month time period without penalty. It is important when taking out a bridging loan not to simply look at the interest rate being charged but at the overall cost including all fees. Some bridging loans are structured so that the borrower pays interest each month and repays the loan at the end of the term. The interest rates payable on bridging loans are typically higher than standard mortgages, as they often carry more risk to the lender. Rolled-up interest – Depending on the lender, borrowers can sometimes choose to have interest payments rolled-up. This means that they do not have to pay interest every month, but instead pay the rolled-up interest at the end of the bridge term. This is suited to borrowers unable to make monthly interest payments. In these circumstances, interest is typically compounded. So, while a borrower will not pay interest monthly, the repayment at the end of the term will be larger. If there is any retained interest which is not utilised by the time of redemption of the loan, most lenders will normally provide a credit for this amount. Will my client need a solicitor? It is recommended that borrowers get independent legal advice prior to signing any legal documents and entering into a bridging loan. The process provides protection for both the borrower and the lender. Bridging loans are becoming increasingly recognised as useful and valuable by individuals and businesses looking for quick, short-term funding solutions. Fast and flexible, it provides people with the finances that they need in order to remedy a cash flow issue or take advantage of an opportunity, which they otherwise may have not been able to secure. Call us on 0117 313 6058 to discuss your finance options today. Call us for a FREE initial conversation on 0117 313 6058 about your bridging loan options or request a callback.